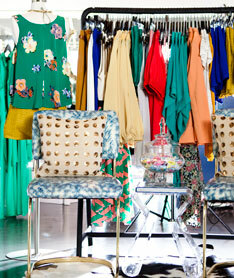 This colorful Austin-based boutique is worth every mile of the road trip (all 75 of them from Dallas) to Fort Worth. Owner Claire Fields stocks her store with loved labels for thrifty college girls and young moms looking to add the affordable trend pieces to their closets. Find dresses that’ll carry you from work day through happy hour and and blouses perfect for both big meetings and date nights.